The wait for Bajaj's new product on the festival season seems to be over now. 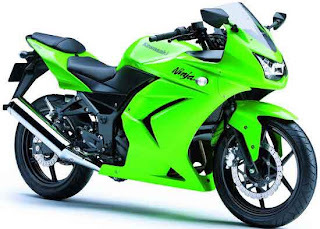 The company recently said that Kawasaki Ninja 250 R will, now, be launched on October 7. This completely built unit is expected to be priced between Rs 1.50 lakh to Rs 2 lakh in India. Ninja 250 R will sport a liquid cooled, parallel twin, DHOC power mill with the displacement of 249cc. The entry level sports machine churns a maximum power of 30 bhp at 10500 rpm and a maximum torque of 21Nm at 9500 rpm. The Ninja 250 R sports 290 mm front hydraulic disc brake (front) and 220 mm petal disc brake at rear. As announced earlier by Bajaj, the Ninja 250 R will be sold through Bajaj showroom located across India. The Kawasaki Ninja 250 R will be available in four different body colours-Lime Green, Passion Red, Candy Plasma Blue and Ebony. The company registered a 14.62 per cent sales growth in the last month. It sold 2,49,133 units of two-wheelers in September as compared to 2,17,365 units in the same month last year. Bajaj about 71,000 units of Bajaj Discover DTS-Si in September. In addition to this, the company also sold 56,000 units of Bajaj Pulsar. Recently Mahindra two wheelers also launched its two products in market-Mahindra Duro and Mahindra Rodeo.